Affordable luxury. 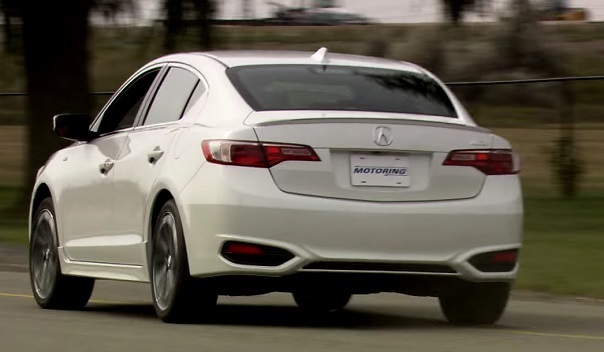 That’s what we can say about the new Acura ILX sedan in 2016. However, the forces of whether the car to compete in the market with more and more popular Mercedes and Audi will know later in the review. news presentation was held successfully at the annual auto show in Los Angeles. 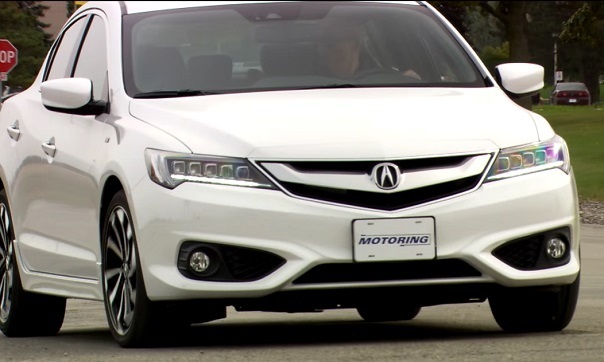 The new look and a number of technical improvements Acura ILH allowed to attract a lot of attention from the public. In front, the sedan’s appearance stands out due to predatory LED headlamps Jewel Eye, which are interconnected by a reworked radiator grille with chrome-strong band. On each side of the bumper beak in muscular «framework» are small grille air intakes and foglamps round shape. 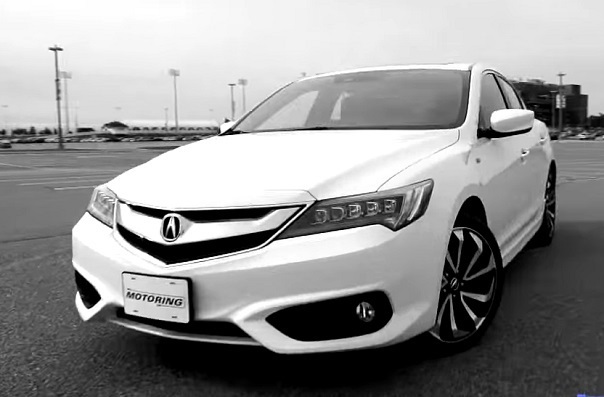 On the side, the ILX looks harmoniously, successfully combining the features of restrained business class car with a sporty character. On wheels mounted 18-inch wheels made of aluminum alloy with crescent-shaped spokes. The back deck with LED lights, in its outline resembles a hybrid of the Honda Accord and Lexus ES. On the trunk lid mounted spoiler thin strip, and the shape of the rear bumper is a mirror image of the front, where instead of the pipes of the exhaust system are stylish embossed «framework» with reflectors. Inside, the driver is located in a comfortable chair with electric front Multiwheel elegant with lots of buttons like a spaceship. The instrument panel has a classic design and is represented by two large analog speedometer and tachometer displays, with a small color display between them. The central console has two touch screen on top and 8dyuymov 7 — below. «Flush» in the depth of the upper console display responds to navigate, and the bottom — for the media, which for a fee can be upgraded audio system 10 speakers from ELS. The only stumbling «in the garden» Acura ILX may be that the inlays in aluminum, is actually made of plastic. The list of technologies presented front and rear cameras, as well as package AcuraWatch Plus, which includes adaptive cruise control, warning of a frontal collision, lane control and monitoring of blind spots. Under the hood, instead of the 2.0-liter engine with 150 horsepower is the 2.4-liter engine capacity of 201 «horses» and 244 Nm of torque. As you can see, the new engine produces a third more power, allowing front-wheel sedan to accelerate from zero to hundred in 7.3 seconds. The engine works in tandem with the new 8-speed automatic transmission with double clutch, which can be controlled manually using the paddle. Fuel consumption is 9.4 liters per hundred in the urban cycle. Note that the body has become a 12 percent stiffer in torsion, was enhanced steering frame, replaced by anti-roll bars, calibrated steering unit, as well as improved sound insulation. 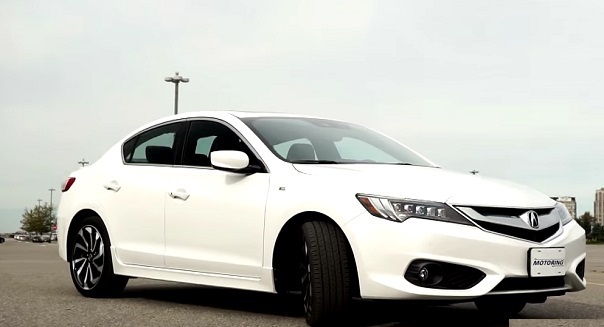 The base price of the new 2016 Acura ILX modlnogo year is 27,900 dollars. The company is confident that the new items Affordable Luxury will be able to attract new customers to the family of the Acura.